Arrestingly endearing and entirely unconventional, Graeme Simsion’s distinctive debut will resonate with anyone who has ever tenaciously gone after life or love in the face of great challenges. 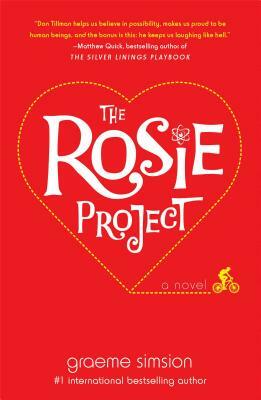 The Rosie Project is a rare find: a book that restores our optimism in the power of human connection. Graeme Simsion is a former IT consultant and the author of two nonfiction books on database design who decided, at the age of fifty, to turn his hand to fiction. His first novel, The Rosie Project, was published in 2013 and translation rights have been sold in over thirty-five languages. Graeme lives in Australia with his wife, Anne, and their two children.